Drama Dock recently presented on an all-female version of “The Odd Couple” — which has been a television show, Tony award-winning play, and movie — putting their own spin on the well-known story originally written by Neil Simon. The premise of the original show revolved around two men who share an apartment with comedic situations ensuing thanks to their clashing attitudes. 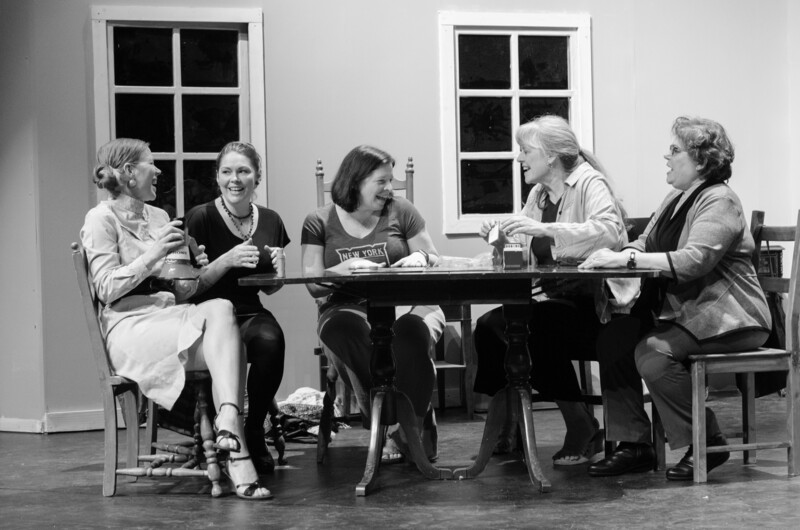 Drama Dock’s production is premised on a group of female friends who get together for a game night of Trivial Pursuit. The show was updated by Simon himself, almost 30 years ago, according to the Beachcomber. The cast of characters include Dedra Dakota as Florence Unger and Bonny Moss as Sylvie, with Chai Ste. Marie, Cate O’Kane as Olive, Thea Vernoy, Sue DeNies, James Norton and Russell Baker playing supporting roles. The central theme of this version is focused on girls coming together to support each other and the deep connections women build with their friends throughout the face of drama, personality crisis, and the mundane struggles of daily life. “It’s about how we love each other unconditionally, even when the conditions become intolerable, and how we come back together after conflict,” Bonny Moss, the actress playing the role of Sylvie, said. Moss is joined by Dedra Dakota, who played Florence Unger. Each actress spent significant time practicing for their roles, but both found life has already helped prepared them. Moss has also drawn on her own life experiences. “I use everything that happens to me to fuel my roles, and a role like Sylvie, with relatively few lines, is an opportunity to play with different ways of handling a situation without yanking the other actors around too much,” Moss said. She added that she enjoys the experience of becoming another character. Dakota shares a similar sentiment. The cast hopes that by watching the show, the audience will fall in love with the strong characters originally created by Simon, who crafted the television series to be lighthearted yet dramatic. “People who take love and friendship seriously, but don’t take life too seriously at all, [will enjoy this show],” Moss said. According to Moss, a great show is partly due to audience participation and enthusiasm.